Narita city is famous for unagi. That means eel. Freshwater eel, to be exact. Why eels in Narita? No idea. Back in the olden days, supposedly, there were eels in Tonegawa (Tone river), but that must have been a long time ago. These days Narita gets its eels by plane. Having the airport right there is a huge advantage, I'm sure. 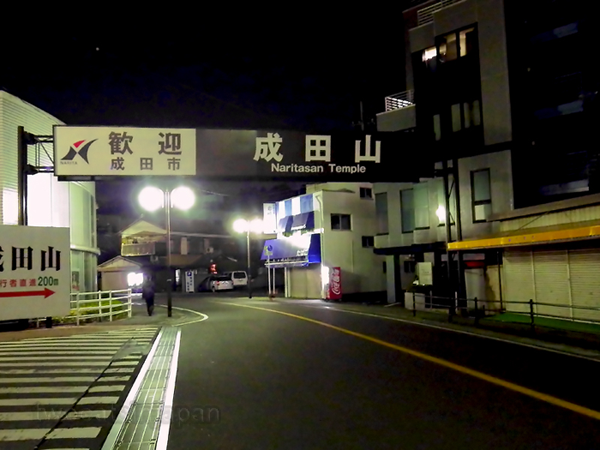 On the main drag from the train station to Naritasan temple there are about 60 unagi restaurants. 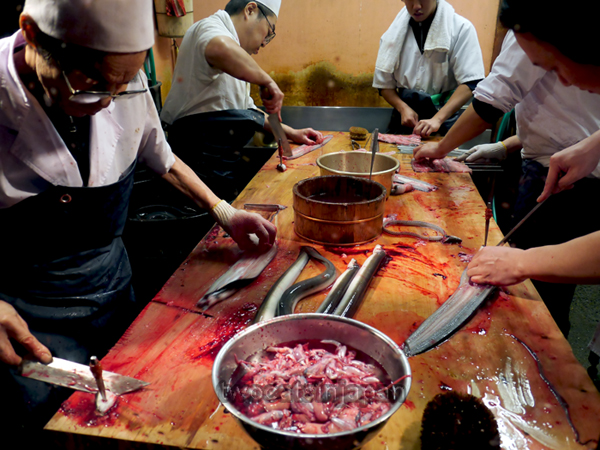 Some are big and famous, some are small, but all of them get their eels fresh. During our walk to the temple we passed by many unagi restaurants. 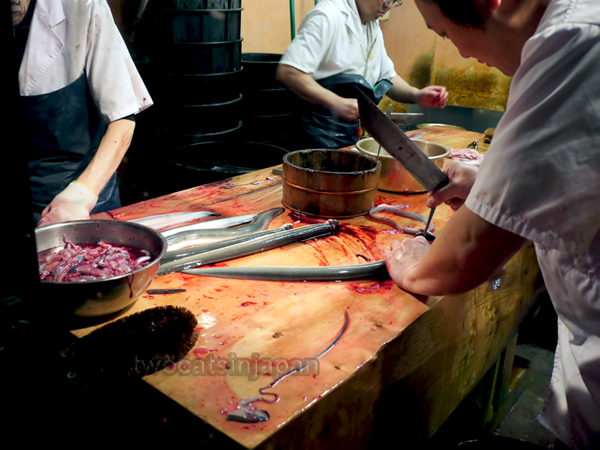 You can watch your fresh eels being turned into eel fillets right in front of your eyes. These guys work with the deadly efficiency of Terminators. Grab a still moving eel. Drive a spike through its head to secure it to the table. I'm a big fan of grilled unagi. It's delicious. Eating unagi is easy. What's hard is finding good unagi. The stores here are flooded with cheap eels from China. And I admit it, I tried it. It tasted like garbage. Most of the cheap unagi you can find at Japanese fast food joints is Chinese. Good unagi is pricey. And unlike cheap unagi, it actually tastes good. So next time you have a long layover in Narita, catch the train to the city, and take a walk up the main street to the temple. 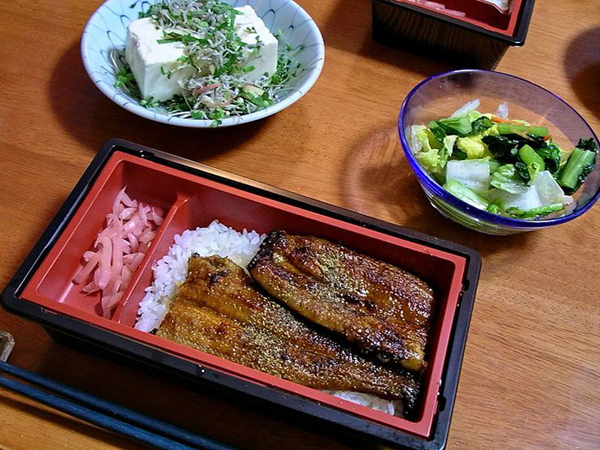 And try some good unagi while you're there. This photo was taken during my first visit to Narita city. Not on New Year's Eve. On a normal evening the whole place looked like after a zombie apocalypse. Yes, eel be back. I can't wait to return to Narita city!